You'll be £4.99 closer to your next £10.00 credit when you purchase Yorkshire's Flying Pickets. What's this? 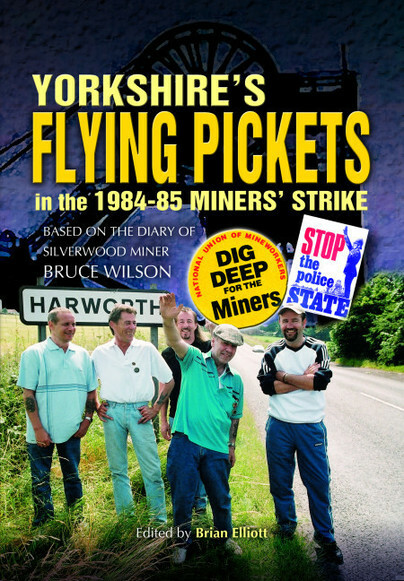 Bruce Wilson's diary is an honest and action-packed account of what life was like for five young men on picket duty during the longest and most bitter industrial dispute in modern times: the 1984-85 miners' strike. Bruce and, younger brother Bob, along with mates Shaun, Darren and 'Captain' Bob crammed themselves into an old car or 'battlebus' and, despite police barriers and blockades, journeyed into Nottinghamshire, Derbyshire and elsewhere in order to express their views and support their union in a country which they thought was free. We are able to experience at first-hand and day by day events, which were often frightening, occasionally humorous but never dull; and also gain insight into major conflicts at Orgreave, Brodsworth, Rossington and Maltby as well as at locations further afield. Towards the end of the strike our flying pickets found themselves on home ground, demonstrating at Silverwood and nearby collieries, including Cortonwood where many observers consider the great strike began. Any former striking miner will find the book compulsive reading and despite the passage of twenty years the journey will seem like yesterday. But there is a great deal for us all to appreciate from this remarkably frank and moving testimony.